For week 3 of my #NeverSettleClub we’re talking about monetizing your passions. Building on last week’s work identifying your passions, this week I ask you to come up with as many ways to monetize your passions as possible, and then I teach you the formula you apply to find out which ideas can make good businesses. For week 2 of my #NeverSettleClub we’re talking about #Passion. This week we’re working on identifying our passions for business, and doing the hard work analyzing our strengths and weaknesses to find out how to turn our dreams into profits. On Monday, July 14th, Mario Armstrong appeared on Roland Martin’s NewsOne Now on TV One to promote his #NeverSettleClub™. Check out the segment above, then head over to NeverSettleClub.com to sign up today! My #NeverSettleClub 5 Week Course Kicks Off Today! If you know me or follow me then you know I’m ALL about positivity, pursuing your dream and profiting from your passion! You also know I’m dedicated to helping others do the same thing. That’s the idea behind the #NeverSettleClub™, and my new 5 week interactive course for anyone looking to escape the 9-5 or take entrepreneurship to the next level. I really want to do two things: share my experience and expertise, and create a community where we can inspire, educate and support each other. So for 5 weeks I’ll be posting a video each week on a new topic, complete with homework and exercises, that will help you get to your goals. Then at the end of each week we’ll do a live video event to catch up on your questions and feedback. All of my videos and homework will be posted to our #NeverSettleClub™ Facebook group. That way we’re creating a community and a place where we can actually have an ongoing conversation. The best part? It’s FREE! And it kicks off today! Join our #NeverSettleClub™ Facebook Group to get all the latest videos, comments and feedback from your entrepreneurial peers – let’s Never Settle together! 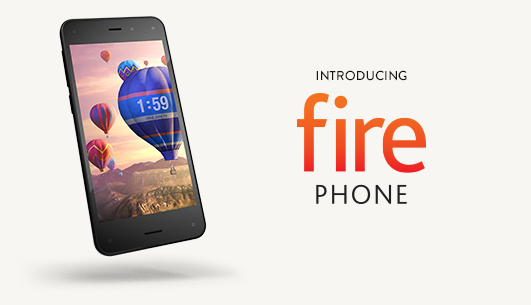 After months of speculation, at yesterday’s special event in Seattle, Amazon’s Jeff Bezos took to the stage and unveiled their Fire phone. It’s got 4 cameras that track your head at all times to offer an immersive 3D experience. It’s got 24-7 support from live human beings you can get to in under 10 seconds by hitting the “Mayday” button. And it makes it really, really easy to scan a real-world object and then immediately buy it from Amazon. Attention Digital Parents! You’re going to love this one. Right now, there are a few problems for digital parents and their connected families. From difficulties with sharing the things you’re doing and love, to managing apps, music and TV shows purchased on different people’s accounts, digital parents can often get overwhelmed trying to manage it all! 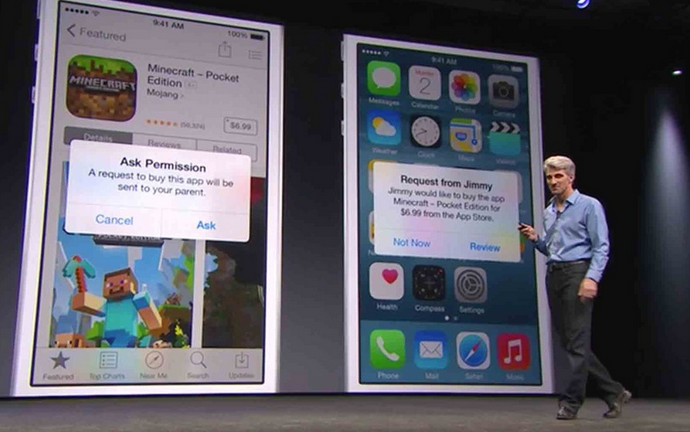 With iOS 8, coming to iPad, iPhone and iPod touch this fall, Apple is hoping to make things a little bit easier. At their annual Worldwide Developer Conference (WWDC) in San Francisco today, Apple announced the latest version of their mobile operating system, iOS 8. Coming this fall, iOS 8 offers a bunch of upgrades that should make life for iPhone and iPad users a lot easier. Here’s a look at all the features you’ll want to know about! Small Biz Go Mobile is Mario's blog dedicated to helping small businesses and entrepreneurs tackle productivity, technology, and growth in our increasingly mobile world. All content on SmallBizGoMobile is created and owned by Mario Armstrong Media, LLC. This blog is sponsored by AT&T, connecting you to your world - wherever you live and work. Learn more about AT&T wireless solutions. AT&T does not influence or control the editorial content on this blog. We want to have full transparency with the blog and our readers and stay in compliance with the FTC’s endorsement rules.